our philosophy is simple, we meet clients where they are at in their planning process and come along side them to make it stress-free and enjoyable! we use our design background to craft exquisite and timeless events and strive to make sure every detail is accounted for. we pride ourselves on meeting clients needs, big or small; we're the moral support through the tough times, the creative eye in the vision, and the behind-the-scenes organization that makes your day flawless. we firmly believe that personal connections are of the essence in design and planning and enjoy getting to know our clients personally before pulling those small details into the event. we work in tandem with our clients and first-class vendor teams to design, plan, and execute extraordinary events. piqued your interest? fill out our contact form to set up a complimentary consultation or email us at hello@carolynaevents.com. outside of atlanta? we absolutely love to travel, just check out our instagram. Stephanie is the owner and creative director of carolyn a. events for couples both in atlanta and around the world. she holds a bachelors degree in industrial design from georgia tech and uses the learned design process skills complimented with an intense passion for organization to exceed her clients' every need. When not planning epic weddings or styling dream editorials she enjoys spending her free time searching out the perfect inspiration, traveling for new expereinces, reading all sorts of books, and seeking the perfect cup of coffee. Molly works with Carolyn A. Events as a lead planner for full planning and coorditation both in atlanta and abroad. she prizes beauty in execution which constantly shows in her work. While her background is in event planning for non-profits, weddings are definitely her favorite and her almost ten years in the industry show! Molly and her husband live in Ormewood Park with their fur-kids, Stella and Lucy. nina is a lead planner for carolyn a. events in the atlanta area and values the client relationships above all. adding in degrees of international affairs and accounting, nina can tackle any major day-of challenge and thrives in rigorous environments. When she's not running a CarolynA Events function, she enjoys spending time with friends or a good book. She often can be found watching sports and exploring her crafty side. sarah is a lead planner for carolyn a. event specializing in coordination in the atlanta area. her favorite part of wedding planning is seeing everything come together on the big day! sarah moonlights as an architect which brings her sense of beautiful design and top-notch organization together. sarah lives in the poncey highlands area of atlanta and loves a good adventure and visting her family in florida to go to disney. 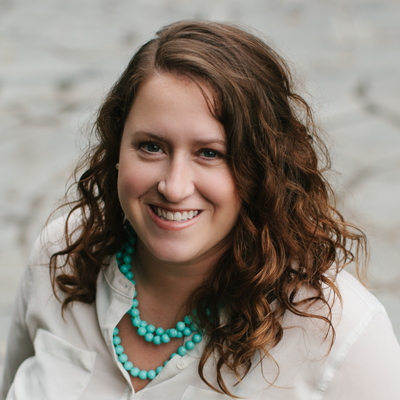 kirstin is one of our lead planners specializing in coordination for our atlanta based couples. her favorite part of event planning is witnessing great event design making it even more magical for everyone involved. kirstin brings experience from her interior design work and architecture degree to the team - making each event exceptional beautiful. she lives in the ormewood park area of atlanta with her husband and two daughters and enjoys the beltline and good cup of coffee.